The blog will cover some basic ideas for writing a well structured blog post that will keep your readers engaged so that they read through to the end. Happy readers make good customers. A blog post should be well planned like any other article, story or document. It should have an introduction, a body and a conclusion. By giving a blog a simple structure you ensure that your readers can easily follow the topic being discussed and always know exactly what your point is. It also helps you to write your blog. Before you even start writing plan ahead with a quick mind map or list of items you with to cover. This really helps to bring structure and flow to your blog post once you get started and also ensures that you do not go off on a tangent and lose the plot half way through. You should have in mind a title for your blog. No doubt you will be keen to include some popular keywords but always make sure that you provide a captivating title to encourage readers to visit. Once you have planned your blog start writing an introduction. This should act as a quick summary of the blog so that the reader can be sure that they should really read the whole blog. Blogs with no introduction can quickly lose the reader as they may not realise the point of the blog post from the title alone. This is where you put forward your main discussion, review, appraisal or rant. Follow your plan and ensure that they words and ideas always flow. Each thought should move seamlessly on to the next. Imagine that while you are writing your are also holding the hand of your readers and guiding them through your blog. Do not let them get lost as that is how you lose customers. Break the body up with headers (h2 html headers are generally preferred for on-page SEO purposes). Headers should correspond with your plan and the sequence set out in the introduction. These can aid readers who which to just read one specific part of your blog. They also help the search engines to know the which topics your blog covers so that it can be ranked better. Each paragraph you write should refer back to the title of your blog. If you have a paragraph which is not relevant to the title it probably should not be there. The final paragraph should simply summarize your blog so that readers who like to skip to the end can still pick up on all the main facts. The final paragraph is also a good place to link to other relevant topics on your site or to place your call to action. Since a person who reads your whole blog post is now engaged with your website this is the best time to try to convert them into a customer. 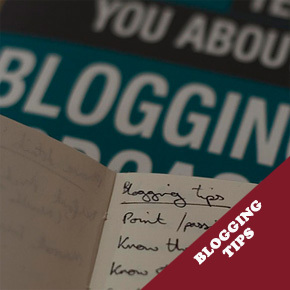 I hope that these simple tips will help you to improve your blogging skills. Blogging is much like report writing or journalism really. You have to tell a story, make it interesting and leave your reader feel satisfied and yet wanting more. I agree with you here. These are the simple keys which guide writers to make their blogs perfect. Your tips and ideas are really helpful especially to me that I’m not in making blog post or shall we say writing blogs. Thanks for sharing it. Thank you for sharing the ways on creating a perfect blog post. This article is really helpful. Well, we don’t think it needs to be told to writers, but still, let’s not keep any stone unturned. It’s tacky and unethical to steal the contents or copy and paste from other sites. It’s imperative to write original and unique content.